Have you ever noticed how the direction in which you look affects the way you feel? Take a moment and think about a situation – first look to the left while thinking about it, and then look to the right. Do you notice the difference? Brainspotting is a psychotherapy based on how our nervous system and body become activated when we think about a traumatic event while looking in a certain direction. 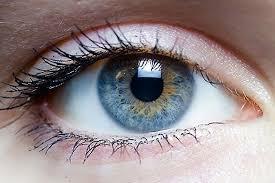 The particular positioning of the eye is correlated to our inner emotional and neural experience. With the assistance of a pointer, trained brainspotting therapists slowly direct the eyes of clients in therapy across their field of vision to find appropriate “brainspots,” with a brainspot being an eye position that activates a traumatic memory or painful emotion. These eye positions, or “brainspots” may, through sustaining eye fixation, lead to a healing and a resolution of problems that are held deeply in the non-verbal, non-cognitive areas of our neurophysiology. Have you ever heard of the term “trauma processing”? Essentially, brainspotting utilizes both focused activation and focused mindfulness as its mechanisms of operation. Who is Brainspotting suitable for? Brainspotting is suitable for those who have experienced either physical or emotional trauma. Those with PTSD and athletes, in particular, can benefit from brainspotting. It was while working with an Olympic ice skater that this treatment was discovered by Dr. Grand.